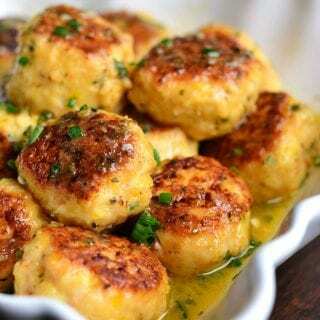 Getting you ready for entertaining this holiday season with a delicious appetizer. 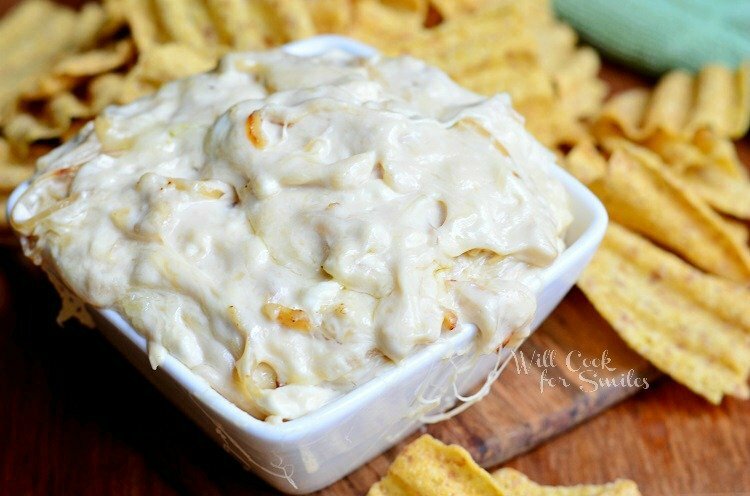 This French Onion Dip is smooth and creamy, made with caramelized onions for extra flavor burst! I actually have free time now … it’s very unsettling. I don’t know what to do with myself. Cooking and sharing with you should keep me occupied! Lot’s of entertaining and parties are coming up and I want to make sure you have some ideas. 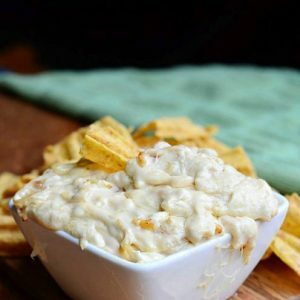 This dip is incredibly delicious and easy to make. It’s a classic and will go with any occasions. You can class it up for a holiday party with some fancy crackers or serve it the football party with chips. Salt fresh ground pepper to taste. In a medium bowl, mix all the ingredients except for caramelized onions until smooth. Fold in the onions and transfer the mixture into an oven-safe dish. 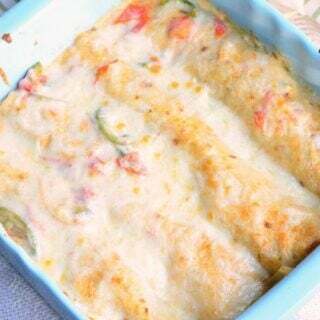 Sprinkle with a little extra shredded cheese on top. Omg this looks incredible! Can’t believe how gooey it looks – I looove mozzarella 🙂 pinned! 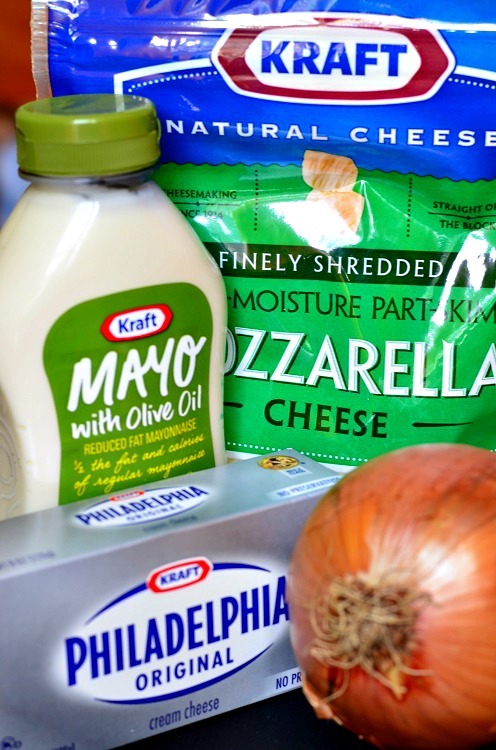 This looks so gooey….cheesy….creamy! Perfect! 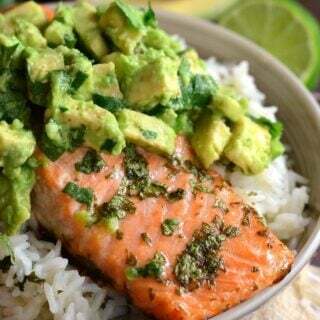 Great job on finishing school strong, get some R&R and keep those recipes coming! This looks so delicious and cheesey!! 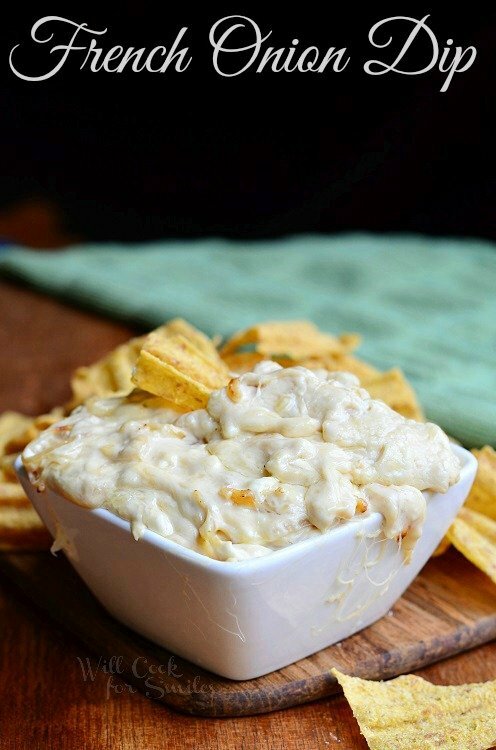 Well I didn’t know you were talking about a HOT dip…..this looks incredible! I want to dig right in!! I always buy onion dip at Christmas time. I think it goes so well with cheese and crackers. 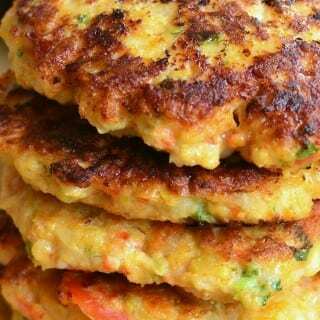 This looks so much better than store bought I think I’ll give it a go! 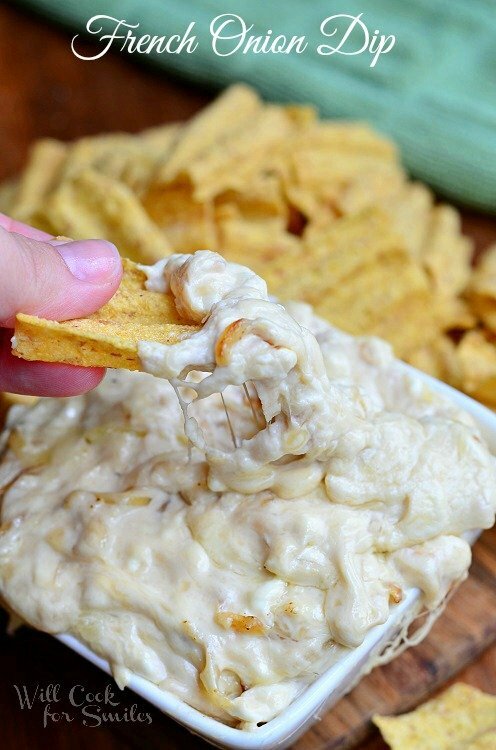 Now, on to this amazing dip…I’m all about a dip like this! On New Years Eve every year, we have a DIP party. Sounds pretty weird. But it is the perfect kind of snacky party. And, I’m making your recipe, my friend. Have a great night! This dip looks fantastic! Love how creamy and gooey it looks, perfect for entertaining during the holidays 🙂 Thanks for sharing Lyuba! 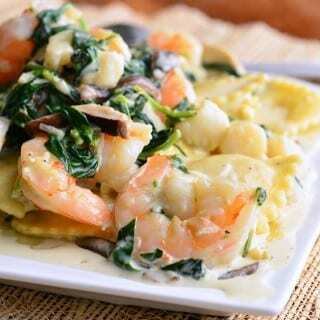 This looks delicous but I have a question – could I use my mayo (Cains) and add a little olive oil? Of course, you can use any mayo! It shouldn’t alter the taste too much. I wouldn’t add too much olive oil though, may be a teaspoon or two. 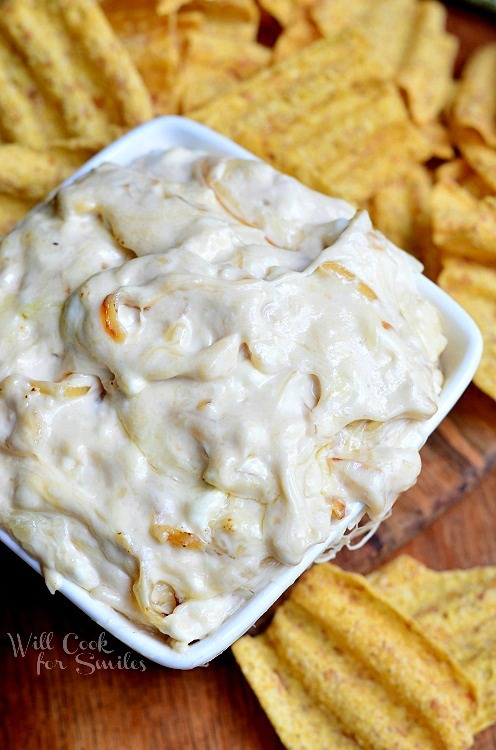 This has got to be the BEST French Onion Dip I’ve ever seen! I’d definitely hang around the party table with this dip! Thanks for sharing at Marvelous Mondays. Pinned and sharing on social media. Have a great week! This looks so good! Would love if you linked up to What’d You Do This Weekend. 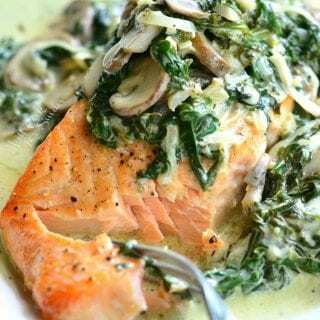 Thanks for sharing the recipe, I will definitely be trying this one out! Soooo delish!! I halved the recipe, hubby and I ate like piggies! I’m so happy to hear that, Christina!